Last year at this time, I did not know the fancy planner world existed. 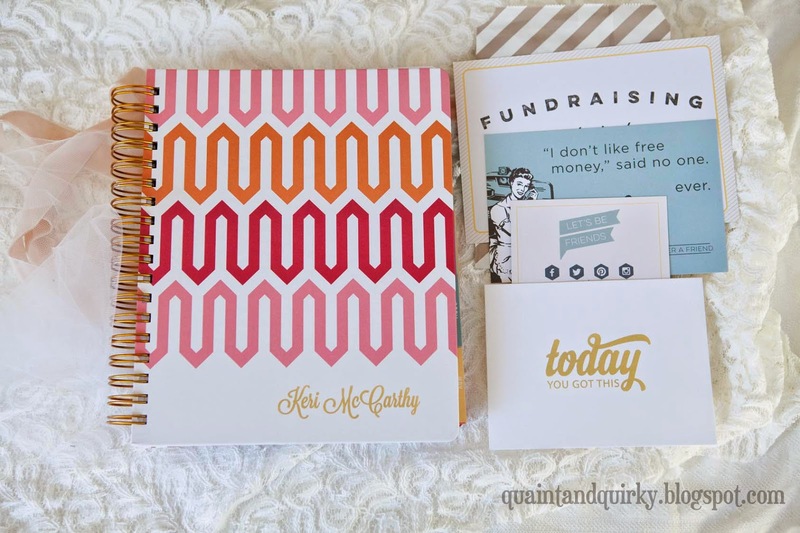 In April, someone I know posted a link on facebook to Erin Condren's website and I purchased my first "fancy planner." I found that if I spent a little more on a planner, I was more apt to use it. If I used an inexpensive planner, it was easier on my conscience to cast it aside after a few weeks and render it useless. With a more expensive planner (but not crazy expensive), I could use it, but I knew I didn't want it to go to waste. Having the fancy planner really worked for me. You can record water intake, meal plans, exercise plans, gift lists, etc. 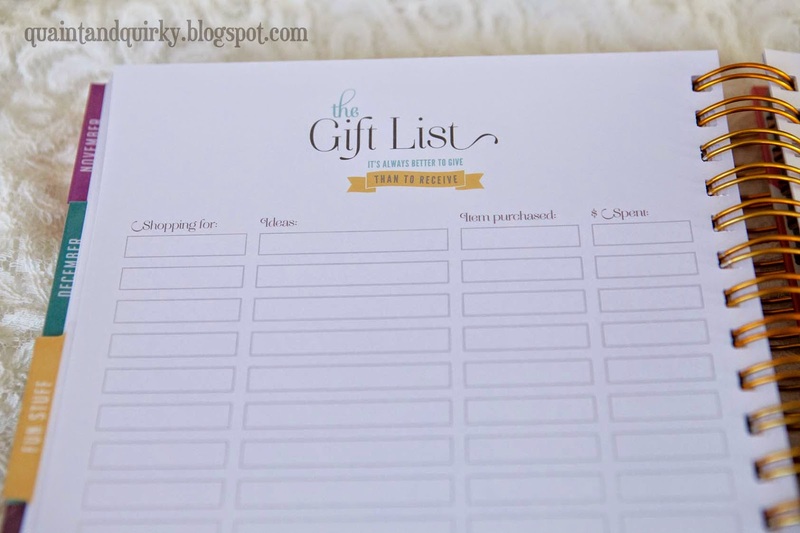 I felt more organized with to-do lists, shopping lists, and more. Joining facebook groups was probably the wrong thing to do because then I realized how much people decorate their planners with stickers, washi, etc. However, it was getting time consuming - applying washi, relabeling the parts that didn't work, making note page headers, cutting out stickers and more. I needed something that was already beautiful and simple, but with fun extras. 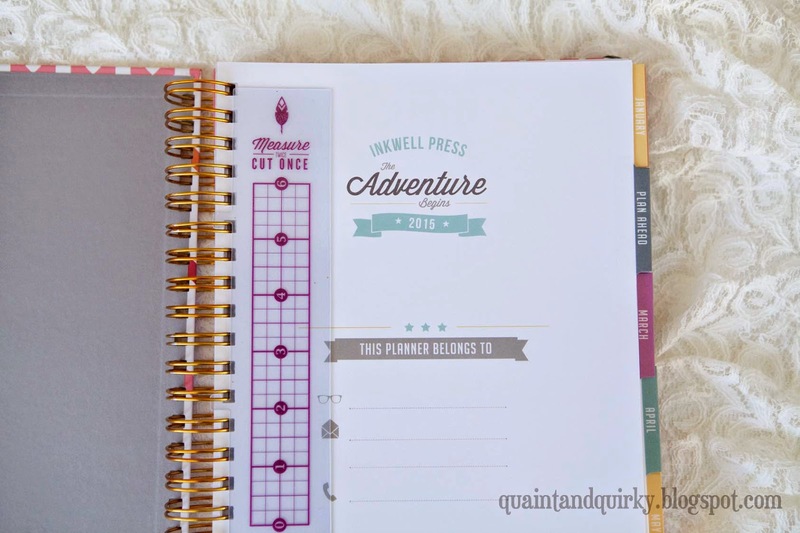 Enter the Inkwell Press Live Well Planners. I fell in love aesthetically first. The planner was beautiful, inside and out. The colors are gorgeous, the design is sophisticated. 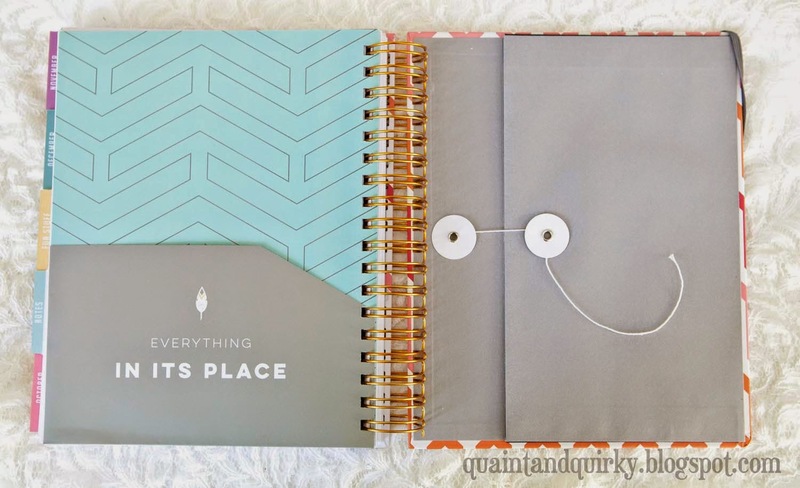 Then I realized it was full of amenities - book lists, movie lists, built in daily spaces for home, health, and meal planning, monthly and yearly goal pages, pockets for storage. I was sold. 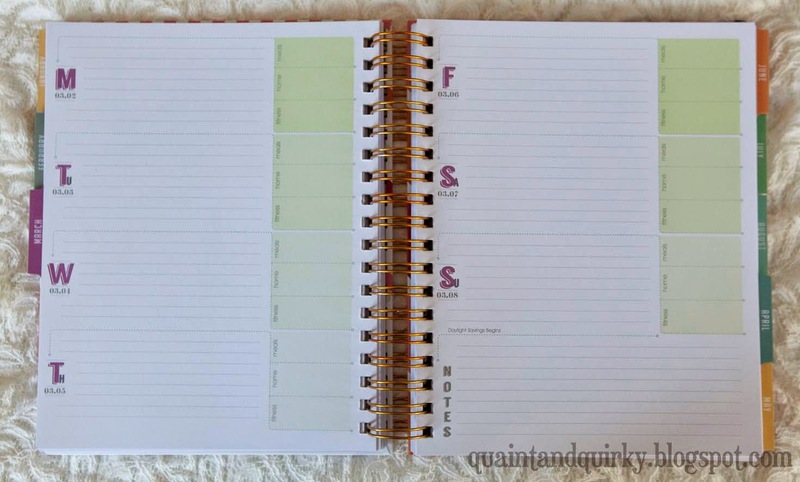 Here is a walk-through and review of my 2015 Inkwell Press Planner. 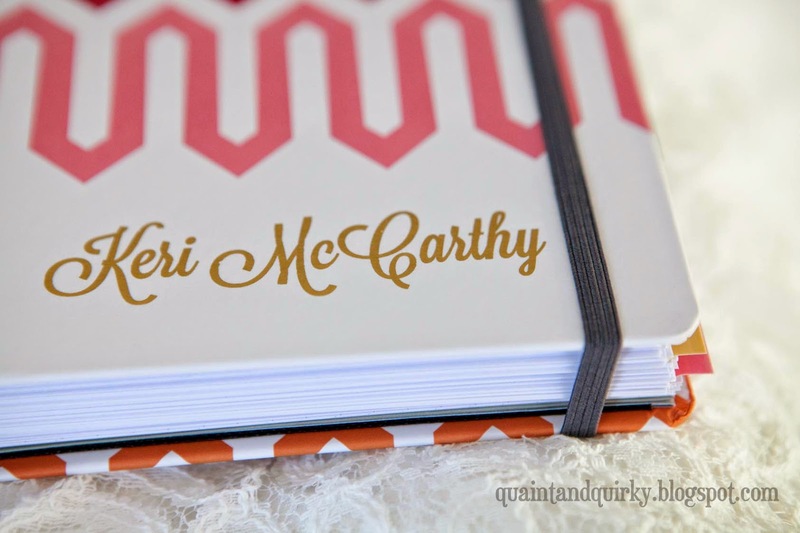 I chose the pointed stripe cover with the Katniss Everdeen font. The cover is like a hard cover book, but has a wipable film over it for the inevitable spill, dirty fingers, and food catastrophe. The coil is my least favorite part. I dislike the color - it's too coppery - and is flaking off in spots. My name is in a beautiful gold foil (the only color they offer). An attached elastic band holds everything in place. Tremendous bonus! When you first open it up, you find a cute little ruler/bookmark that appeals to my sewing-loving heart. In the front, there are planning pages for 2015, including goal setting for many areas of life. As a bonus, when you purchase a planner, they send you six videos helping you to organize your planner - and your life! The paper is extraordinary - thick and lovely! 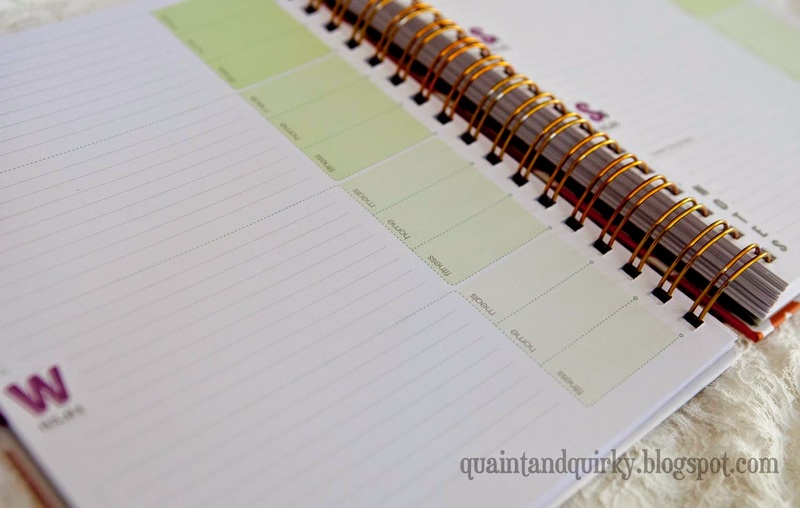 There are beautiful monthly planning pages and note pages before each month starts. Bonus! But I forgot to photograph them. Fail! A month layout looks like this. Lots of writing room! A weekly layout looks like this in the Flex layout that I chose. There is also a schedule-type layout where you have a list of hours. 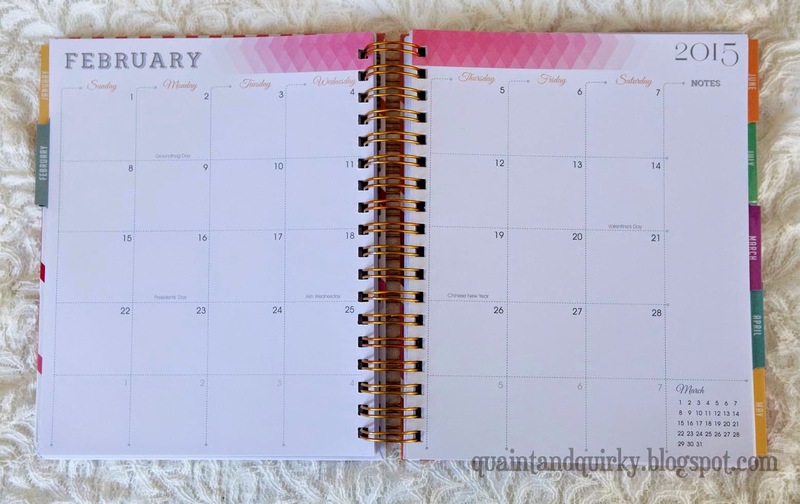 I like the flex because, as a SAHM, I don't have a lot of appointments daily, but I do have lots on my to do list that I can write in these spaces! 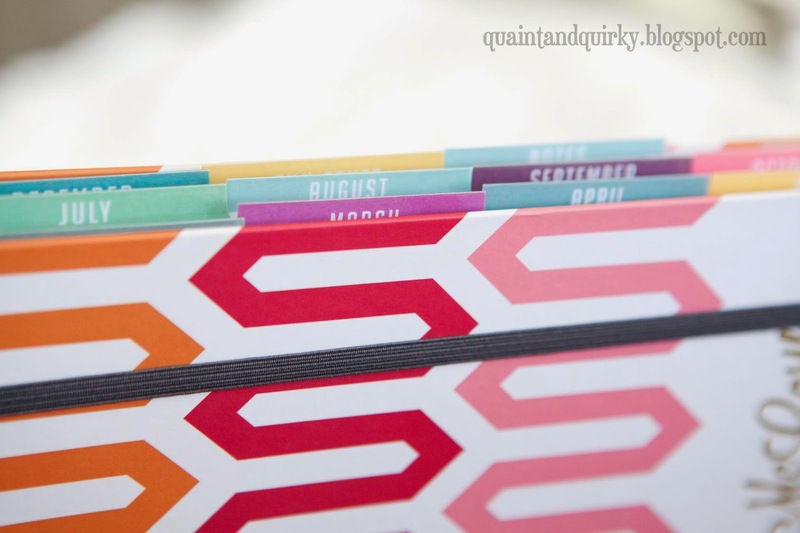 The Erin Condren "Morning, Day, Night" setup never worked for me and I spent a lot of time covering over those categories with my own categories. This is perfect! I LOVE this feature. With the Erin Condren Planner, I had to get creative to fit all that in, with inserts and stickers and whatnot. Now I can record my cleaning, cooking and exercise (ahem). In the back, there are lots of extras. Graph paper note pages. My absolute dream come true!! Pages where you can record books and movies you want to see. There's also pages for travel. And the fun things that come in the package with the planner. I absolutely think this is the perfect planner. I've researched many different types and this rolls everything together - simplicity, beauty, fun extras, helpful layouts, and more. I'm extremely impressed with the quality of the paper. It is worth every penny! The customer service is super and very personal. 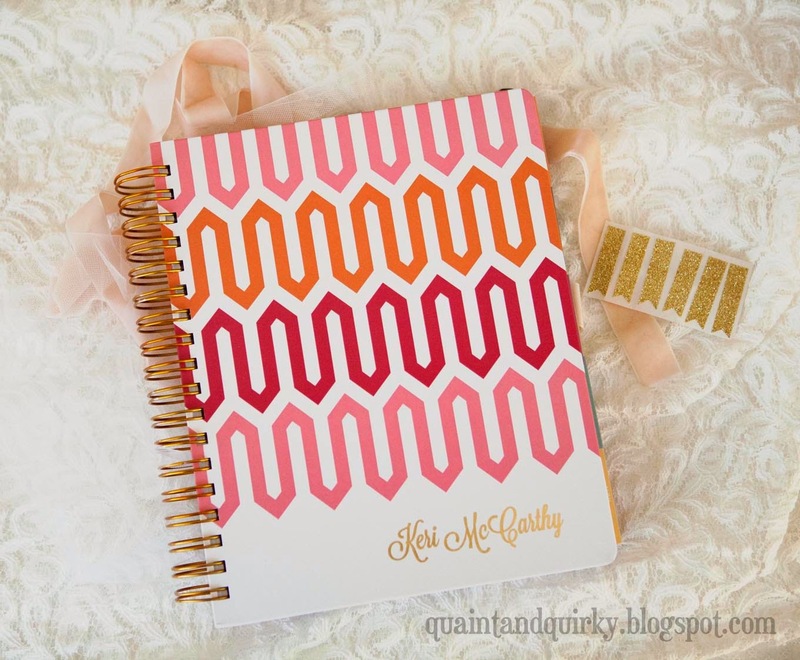 They really want you to be happy with your planner at Inkwell Press! 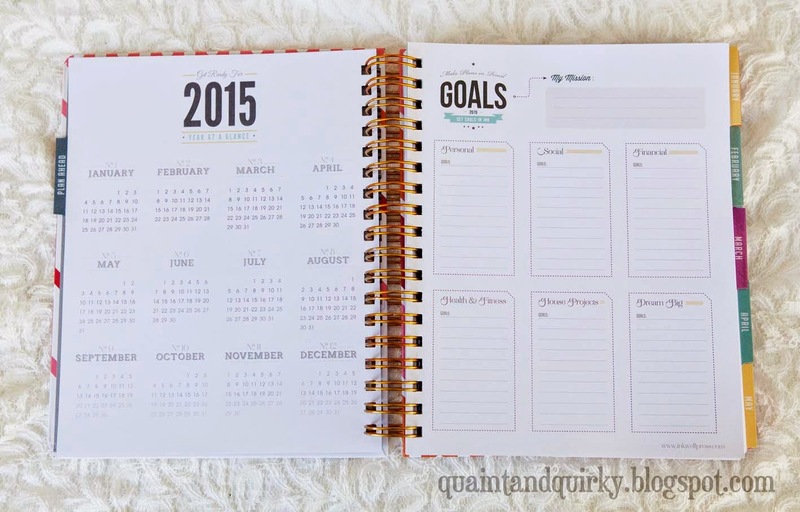 I can't wait to be even MORE organized in 2015! 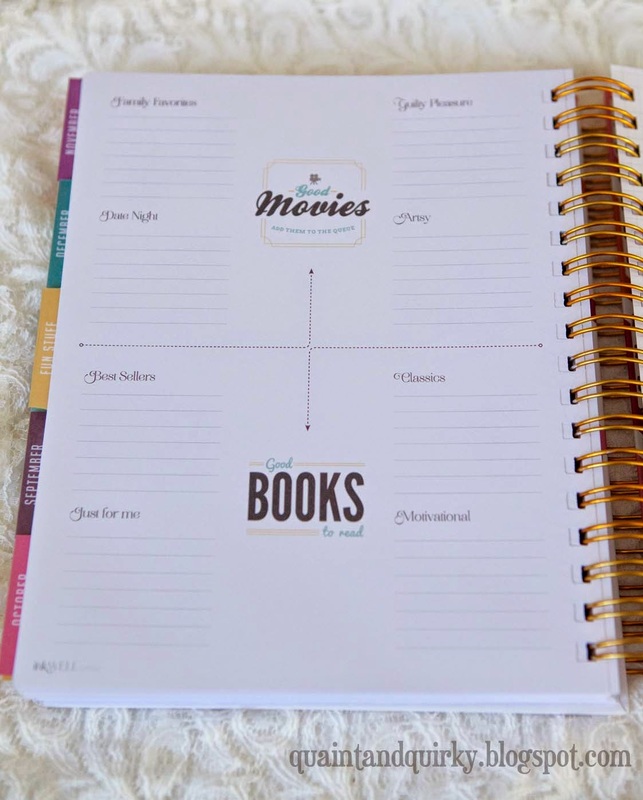 If you like this planner and want one of your own, following this affiliate link Inkwell Press Planners will get you $10 off your first purchase of $50. Happy Planning! 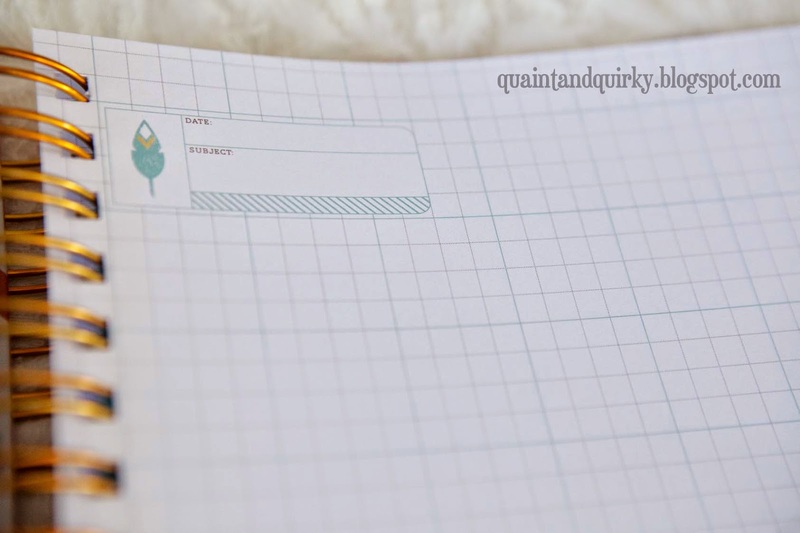 I might have to add an Inkwell Press planner to my Christmas list! Also, hooray for blogging!